In her first year as event director for the International Biscuit Festival, Lindsey Collins outlined how to improve the ever-growing event going forward, starting with ticket sales and availability of volunteers – not to mention the biscuits. “Ultimately, I feel the most important change will revolve around setup and proper preparedness,” Collins said. 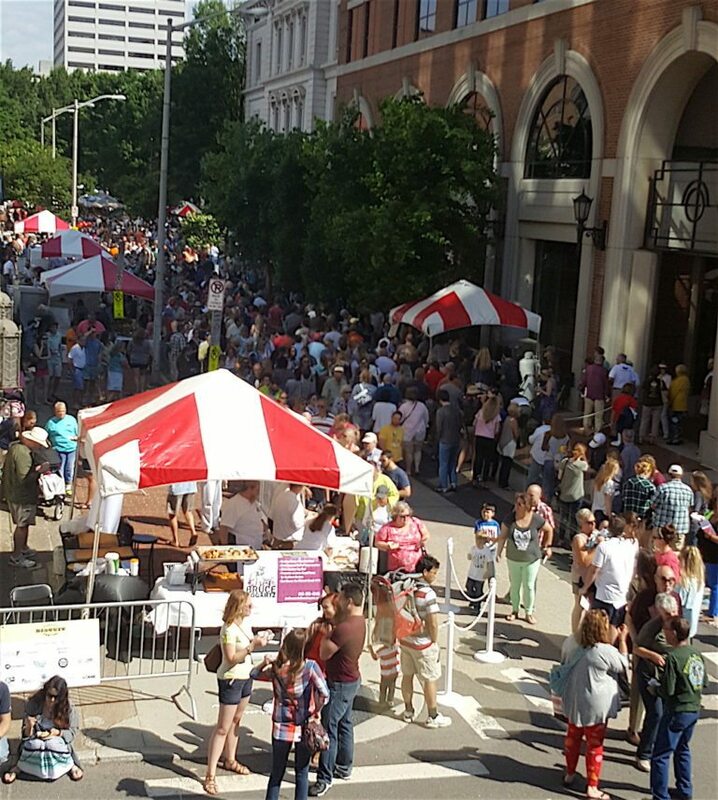 More than 20,000 people descend on downtown Knoxville for one reason – the chance to sample multiple varieties of biscuits at the International Biscuit Festival, which is held in May and will reach its eighth year in 2017. And therein lies the primary issue for organizers of the wildly popular festival. Ticket sales, crowd flow and biscuit availability all are areas that will be reviewed as the festival continues to expand every year. Advance ticket sales will be considered for the 2017 event, as organizers seek ways to improve the overall experience of attendees. “Now that I understand the caliber of the festival, I have a whole new understanding regarding what to do differently next year and the years to come,” Collins said. Collins also wants to boost the number of regular volunteers, especially on the day of the festival, for the 2017 event. “This festival needs at least 100 volunteers to run properly,” she said. 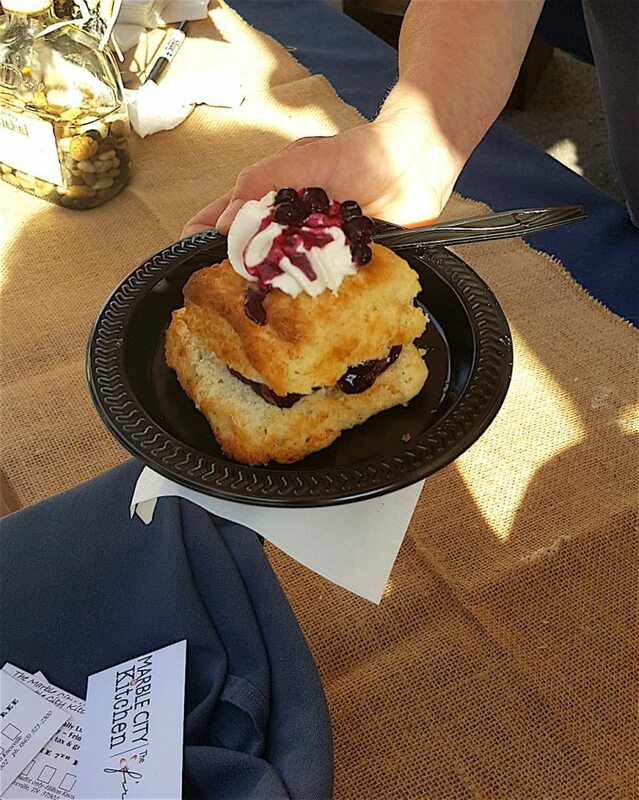 Because the festival is open to the public, the crowd can outnumber vendor stock regardless of how prepared the biscuit makers are beforehand. 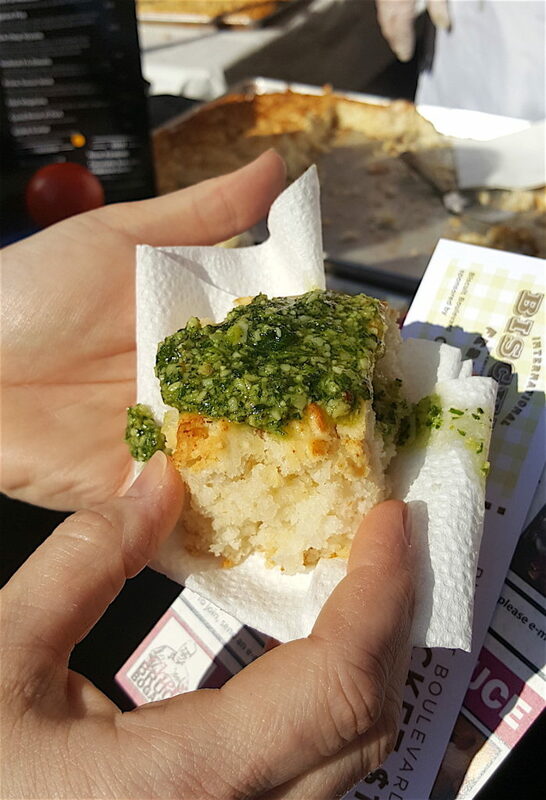 Organizers suggest that each vendor bring at least 1,000 biscuits, but the demand can still exceed supply. “The amount of biscuits that we require our vendors to have is substantial but they go quickly,” Collins said. “Each year it is our goal not to sell out, but the crowd seems to be getting larger and larger. The International Biscuit Festival is made up of two components, the Southern Food Writing Conference and the festival itself. The two-day conference is held in downtown Knoxville before the festival and functions as a forum to discuss the importance and significance of food writing. The conference draws food writers from such esteemed publications as The New York Times and Garden & Gun. The conference, like the festival, is quite popular. Behind the scenes of such a large-scale event, it was eye-opening to learn that three people essentially run the show year-round – John Craig, the “Biscuit Boss,” Collins and an intern, Lane Latimer. Their effort is supplemented by volunteer coordinators. During the conference, volunteers and coordinators are needed to staff three venues at the same time. “We have volunteer coordinators that we meet with throughout the year and start joining us in the weeks leading up to the event,” Collins said. 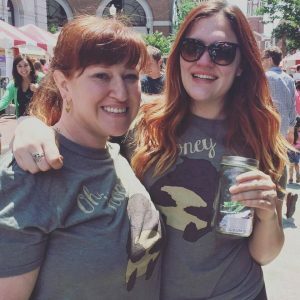 Another critical assistant is part-timer Jessie Bailin, who used to work with the Biscuit Festival and travels from Raleigh, North Carolina, every year to assist with the writing conference and festival. Collins was fortunate that relationships with several sponsors already have been established. Securing sponsors can be challenging and especially so for a first-year planner. “John Craig and Chadwick Boyd, our contact in New York City for the conference, work hard throughout the year to secure sponsorships,” Collins said. Chadwick, a paid consultant and food and lifestyle expert, and Craig were able to partner with Great American Country, Clayton Bank, Southern Biscuit Flour, All Occasions Party Rentals, Mast General Store, Attack Monkey Productions, Lodge Cast Iron, Blackberry Farm, Tsamma Juice, U.S. Cellular and B97.5 to present the 2016 International Biscuit Festival. Collins had some event planning experience – and assisted with events as a Moxley Carmichael intern – but had yet to take on any event as large as a festival as its coordinator. She learned how festivals differ from client-specific events. “Festivals have more leniency as far as necessary changes, in the event that something doesn’t follow through as previously planned,” Collins said. The challenge of a festival as opposed to a controlled guest list for a client is not knowing exactly how large the crowd will be and the pedestrian traffic flow throughout the six-hour event. “We try really hard to deliver the expectations that everyone has,” Collins said. “Sometimes we meet that; sometimes we don’t. 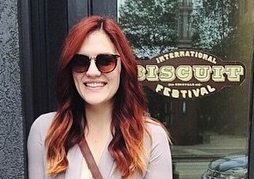 Emily Breeden, a spring intern at Moxley Carmichael and one of the volunteers for the International Biscuit Festival, is a graduate of the University of Tennessee with a Bachelor of Arts in communication studies. She enjoys binge watching Game of Thrones, crafting cocktails and gardening – especially the combination of the latter two.